My card looks way more sparkly & pretty in person, but I still LOVED how it came out! If you would like to see my video on how the "Embossed Only Stitched Circle" works, you can see it HERE! Here are my two candy wrapped bars! Which are my FAVORITE treats to decorate! I've gotta have the new release! 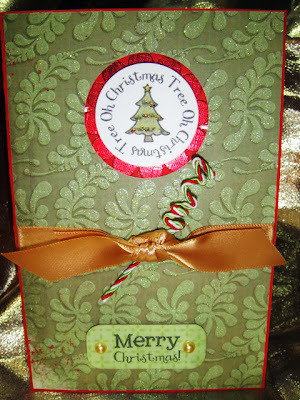 Christmas is my very favorite holiday and I cannot wait to make some cards with your stamps! I love your wrappers and card! You tie the most awesome bows as well. Your DT did an amazing job! Soooo cute...makes me want to start making Christmas kreations.....soo will need to invest in this set. What beautiful projects!! My favorite subject too-Christmas!! I know this set will be mine!! Can't wait Miss Emma....all of your stamps are so beautiful! yet again another great design!! love your candy bar wrappers and card!! Your DT team a great job again!! The DT projects for the past 2 days have been outstanding. I thought the Halloween was my favorite....now the Christmas is so great too! Can't wait to see them all and add to my stamps. The round ones are definately my very favorite of each set. All I can say is Wow!! Each day is better than the last. Another fantastic sneak peek!!! So excited for the release tomorrow!!! Great Job!! Wow great sneak peek! Great work... beautiful!! HOw cute! I love the embossed circles and I too LOVE to decorate candy bars! The DT did an amazing job and I can't wait for the full release tomorrow! I love your new collection and those dies are awesome My wish list is growing exponentialy! As always a great video and super cute creations from your entire DT. I never thought to decorate candy bars. That is a brilliant idea. Love these! I think this is my favorite of this release from what I have seen so far! Wow!!!! I love this set and all the projects are amazing. Great job everyone. Emma, these stamps rock! Wow Emma, these stamps sets are super adorable. 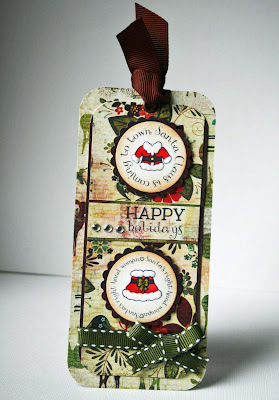 Love the stamps mixed with the new die cuts. Congradualtions on another stamp release I'll be with you bright and early Friday morning. Emma, your stamps and dies are soooo super cute. Love today's card. Watching your blog everyday this week has been so much fun! I can't wait till tomorrow morning when we can order the new stamp sets! Such cute projects Emma! Thanks for the inspiration!!! Candy wrappers are an all time favorite of mine!! I can't wait for the release!!! Hi Emma, what a awesome job that you do with whatever that you create. Love to view your blog and see what new things you've done. Love the New Stamps. So cute! I have no clue which set I love the most! All the projects are so awesome. Love how you wrapped the candy bar great idea when school start later. Oh boy Emma this is another winner. I love love LOVE this stamp set. My hubby isn't going to be to happy about this either lol. Thanks for everything you do. Emma, I love your projects today. I love the DP, colors, etc. 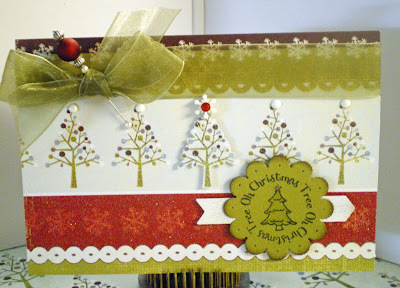 I am so loving the embossed stitch circles and your little Christmas images are so cute! Awesome job on your projects and this new stamp set....you Rock!! Oh goodness! So fun! I love the candy wraps. Never thought of doing that! Awww ... my favorite time of the year ~~ Christmas. Your projects are soooo cute. These stamps are going to be a must have in my craft room!! Wow...you all have out done yourselves. Awesome job ladies I love all of the projects and I am loving these stamp sets!! I spread the word on fb. 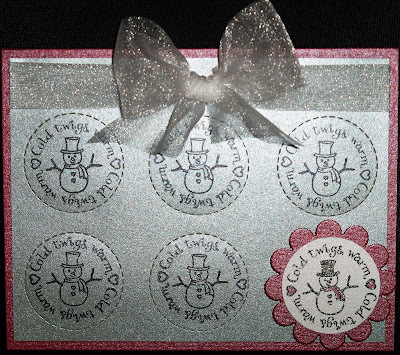 These are wonderful holiday stamps. Love them!!! i'm loving your new dies!! i have yet to get some of your stamps.. hoping sometimes soon!! Holy cow batman.. You have out done yourself this time. I so can't wait I already know which ones I HAVE to have and haven't seen the whole set yet. Super cute! Can't wait to see them on Friday! OMGosh Emma!!!!! I'm soooo SUPER EXCITED FOR YOU AND US!!!!! Your little drawings are soooo CUTE, you should be very proud of yourself!!! I haven't looked forward to a release like I am now!!! Seriously Emma you are the bomb!!! You & your DT rock!!! OMG! OMG! OMG! I cannot wait for this release!!! Christmas is definitely my favorite time of year and I'm already starting to create. Your cards is just so elegant! Now on to hopping! since Christmas in my all time favorite holiday i'm loving all these christmas cards. tfs. Such adorable projects! I can't wait for the new stamp sets to be released! 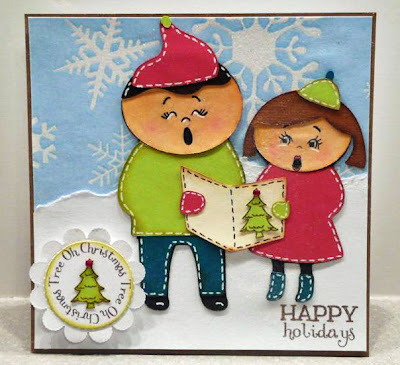 You and your Design Team did such a wonderful job showcasing your new stamps and dies. This is such a wonderful release...can't wait to see what happens tomorrow! Yay! I love making Christmas projects so this is great!!! Love your projects as well as the DT! omg! so many ideas are churning and I NEED these stamps... ALL OF THEM... to complete my thoughts! These are all so stunning I can't wait to see this set! Thank you so much! It's official....I'm gonna have to get a second job LOL Sure loving all the new stamps Emma....nice job and so happy for you and all your success...you deserve it...thanks for all you do! I am so excited to see them all....can't wait! Of course, I will want them all!! Christmas is hands down, my favorite! I love all the projects...amazing! Emma I just can't wait for tomorrow! I'm so afraid you will sell out before I get home from work. Wondering how I can order! Ha ha! Look forward to seeing "8th Edition Stamp Release" happening this Friday!! This is my favorite set so far. I'm a major Christmas fan. I can hardly wait to try your dies. you can NEVER have enough Christmas stamps - can't wait to browse!! Enjoyed this week so MUCH Can't wait till the release tomorrow night!! These are great! Wow! Great DT projects! This has to be your most popular sets or sneak peeks!! I hope you ordered extras or many will be without!! DT ladies,you have outdone yourselves this week!! I just completed all the requirements to win in the competion. I have been sitting on pins and needles all week, waiting for friday to get here. Beautiful card and cute treat wraps. 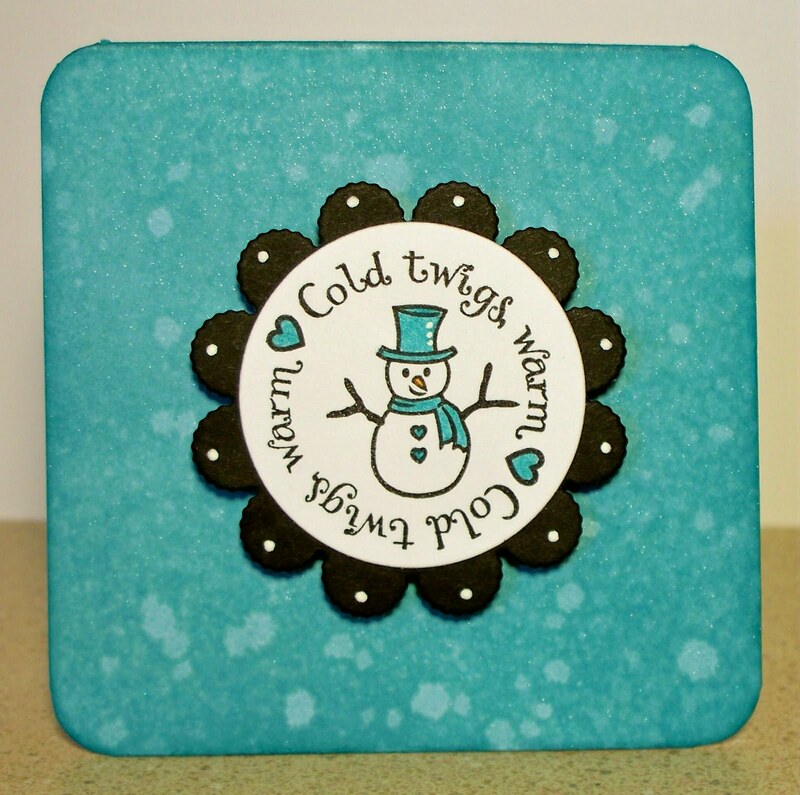 Your card is beautiful and the candy wraps are toooo cute! The DT did an awesome job this week. I wish I could watch the launch live but hopefully I'll be able to watch it later. Will it be available? Love these round stamps! You just keep adding stamps I CANNOT resist! I don't know how you do it but I am already thinking of projects to make with these new ones. Love, love,love the Christmas stamps. Very beautiful work ladies! TFS! Love everything! You ladies are so creative. I enjoy seeing what you create. Thanks for sharing your talent. Emma your card is absolutely gorgeous! The stitched circles really make the trees pop! I love the treats too - perfect way to use those scalloped circles. Great job by the whole DT! These stamps are great and your cards are spectacular! I love all the sneaks! Come on 8 AM!! Another must have set Emma!!! Super cute. See you in the morning. The stamps look awesome, love the blue christmas tree card! Who doesn't love Christmas in July? Thanks for all the amazing, wonderful ideas! 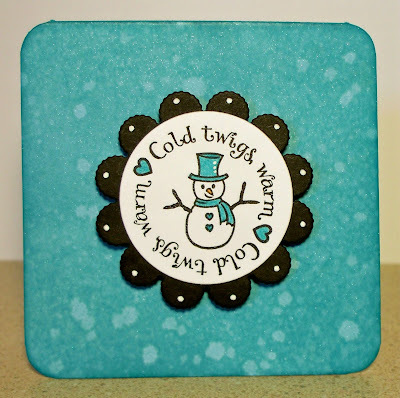 Your stamp sets are awesome and the dies to match plus your creations this week! Your Design Team has gone above and beyond ! Thank you so much for your terrific generosity and your terrific inspirations. Emma you have truly out done yourself. Just beautiful card and candy wrapper. I loved the big bow also. Will try to do this. Great looking set Emma. They look like a lot of fun to play with. Great candy bar wrappers. So simple but so cute. Love your card as well. Can't wait to purchase your stamps tomorrow. Good luck with the realease. I am loving this Christmas set! Those drawings are too cute! Miss Emma, your card is so adorable and the wrappers are very festive... I love the showcased stamps as well as all of your sets ;)! TFS and thanks to your awesome design team!!! Beautiful card and candy wrappers! Great job with your new holiday stamps. Thanks for sharing. 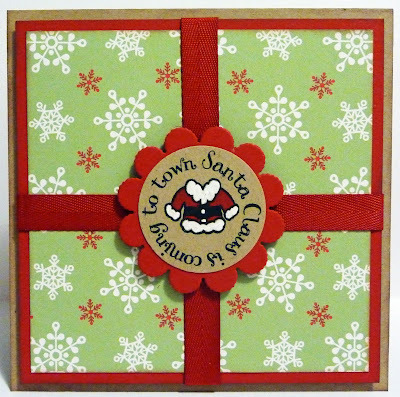 Love these cards and candy wrappers! Thanks for a chance to win! LOVE the christmas cards and things. My fav holiday! Very cute very nice hope to win them for sure. thanks for the chance. those are totally fun, I love them!! Love your entire release! Can' wait to get them home. I love love love these cards. Christmas is my favorite time of year and must have that cartridge. Your design team is awesome love their talents. Thank you for sharing them with us.